We got a chance to check out ASUS' K Series laptops way back at CeBIT in March, but it looks like the understated line has just now finally made its way over here, and seen a few changes in the process. The biggest of those is that this particular model, the K40IN-A1, now packs some NVIDIA GeForce G102M graphics (with 512MB of RAM) in place of the previous ATI option, although we assume that'll still be available on some models if and when they join this one. 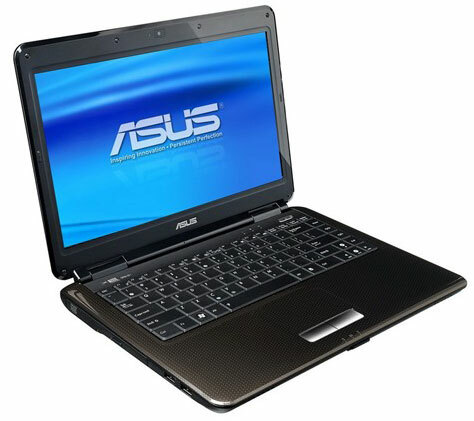 Otherwise, you can expect a 1366 x 768 resolution on that 14-inch LED-backlit screen, along with a Core 2 Duo T6400 processor, 4GB of RAM standard, a 320GB hard drive, and ASUS' trademark Super Hybrid Engine technology, which promises to let you get the most out of the laptop's six-cell battery. $850 and it's yours.